Bellingham Mediation & Consulting is the mediation and human resource (HR) consulting practice of Sheri Russell, J.D., located in Bellingham, Washington, and serving Whatcom, Skagit, Island, San Juan and Snohomish Counties. Sheri has over 22 years’ experience as a certified professional mediator, human resource/workplace administrator and consultant, organizational facilitator, trainer, workplace/academic complaint investigator, and former attorney and civil litigator. Sheri’s legal experience brings a necessary practical, proactive and effective approach to helping individuals and organizations collaboratively resolve issues and create agreements that meet all interests involved. Her style is particularly successful in helping clients collaboratively and efficiently resolve issues and create a foundation for future communication and problem solving. Sheri’s HR consulting helps organizations and HR managers proactively, effectively and legally anticipate, prevent and address workplace issues and complaints. Sheri’s organizational facilitation helps work teams, senior staff, directors, students, faculty and academic constituents have strategic and productive meetings, retreats, forums, and workshops that move organizations forward. In addition, Sheri teaches dispute resolution and law courses at Western Washington University, and provides general and advanced mediation trainings for the Whatcom Dispute Resolution Center. 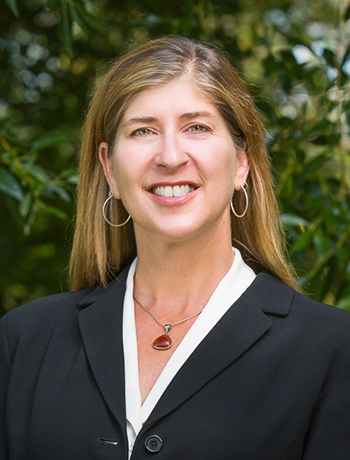 Prior to opening Bellingham Mediation & Consulting, Sheri Russell owned a law, mediation and facilitation practice in Idaho, focusing on family and employment law, property, land use and contract issues. In addition, Sheri was a human resource, equal opportunity (EO), equity and diversity administrator for a large public agency and three universities, managing all aspects of EO compliance programs, including formal complaint investigations, dispute resolution, HR trainings, supervisor coaching, workgroup facilitation and proactive diversity initiatives. Sheri also facilitated work-group and boards of director discussions and retreats; student, staff and faculty academic forums and workshops; public hearings for federal agencies, local governments and non-profit organizations on local land use and natural resource issues; and was a settlement facilitator for the Idaho State Bar Association. Sheri helped establish and managed the first small claims mediation program in Idaho in 1995, taught dispute resolution courses at the University of Idaho, and regularly judged law school negotiation competitions and provided trainings on conflict resolution.